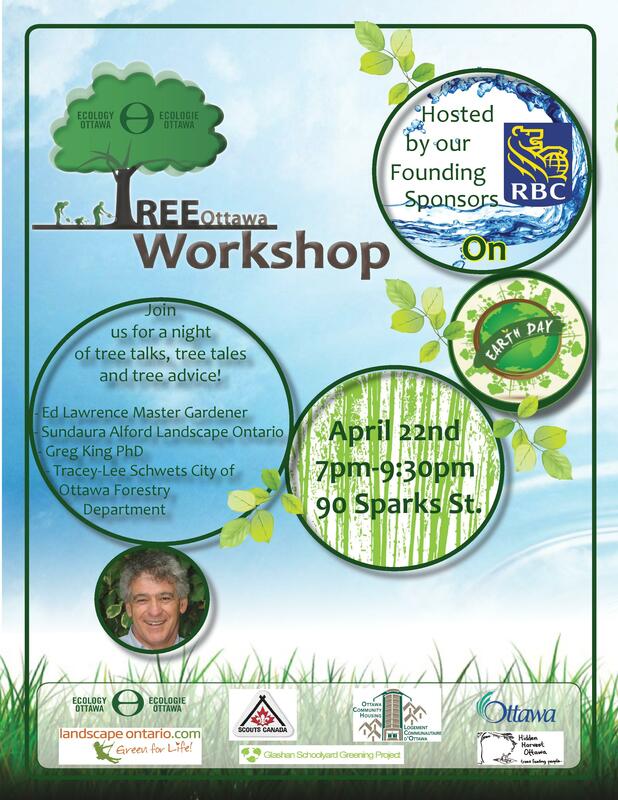 On Wednesday, April 22nd don’t miss the Tree Ottawa Workshop on Sparks Street! The evening will feature a discussion of the importance of trees in the city of Ottawa and special guests, including Ed Lawrence, who will share their experience and knowledge. Their advice will help us to protect, plant and promote our trees in our community. We can’t wait to see you there! Click here for more information and to RSVP! ← Tree Ottawa Earth Day Workshop!